Do you want to be more creative? Or find a new hobby outside of work? I recently decided to start an evening art class, which led me to research the best adult art classes in Birmingham. I found a surprisingly large number of opportunities, from one-off sessions to year-long, part-time courses and personal tuition. If you are interested in learning a new artistic skill, or re-discovering your imagination (dulled from sorting spreadsheets in the office), then I can guarantee there will be something for you here in Brum. Here’s my roundup of the best art workshops Birmingham has on offer. This is the Birmingham branch of the UK’s leading independent art school, with a focus on providing high quality art education. They offer a range of short art courses covering a range of media from Life Drawing to Digital Photography, and for all abilities. If you would prefer to learn alone, they also offer personal art tuition: you can find an art tutor to suit your specific interests and needs through their dedicated matching service here. If you are looking for corporate art events, or team building opportunities, the Independent Art School can also create events based around painting, sculpture, drawing and photography, and tailored to specific ideas and requirements. Read more here. As well as three-year degree programmes, Birmingham City University offers part-time evening classes. A large number of these courses focus on jewellery making, from Silversmithing to Stone Setting and Gemmology. The short courses are available morning and/or afternoon one day per week over the course of one academic year (October – June). The focus is on learning through creative practice for its own sake and without the constraints of studying for an award. While no formal qualifications are required to take part in most of the short courses you will need to be motivated and demonstrate an interest in the subject you wish to pursue. While largely for adults of all ages with some experience, there are a few opportunities for beginners. Search for your perfect part-time jewellery course here. An evening of watercolours & wine at the RBSA Gallery…the wine definitely helped my creativity! From one-day workshops to full twelve-week courses, MAC offers hundreds of creative courses for all ages and abilities. While they have no exams or pressure, the expert tutors ensure that participants see a real improvement in their practice, and classes are held in specialised studios. Courses cover: textiles, painting, drawing, sculpting, ceramics, jewellery, digital media, film, stained glass, photography and more! Most adult courses are structured by weekly classes, such as Introduction to Ceramics (12 weeks) or Figurative Sculpture (10 weeks) and Life Drawing (10 weeks). You can check out their Creative & Visual Arts programme here. I signed up for their 12-week printmaking class, and I am loving it! The RBSA offers a large number of workshops, which range from one to four days, including weekend dates. 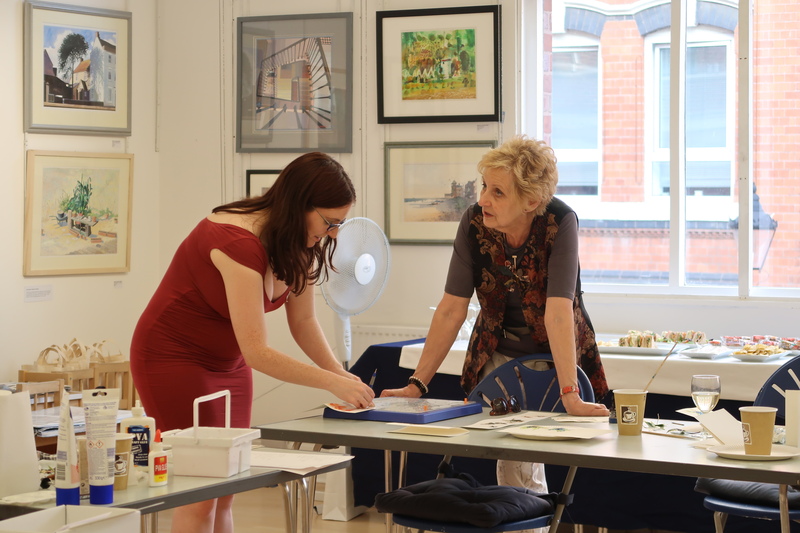 Every workshop is delivered by a Member or Associate of the RBSA in the charming gallery space. The number of workshop students is limited to a maximum of ten, providing more opportunities for one-to-one tuition than large classes. There is a relaxed feel to the sessions, which include complimentary tea and coffee (always a bonus!). Feedback notes the excellent demonstrations given by the artists delivering the sessions. 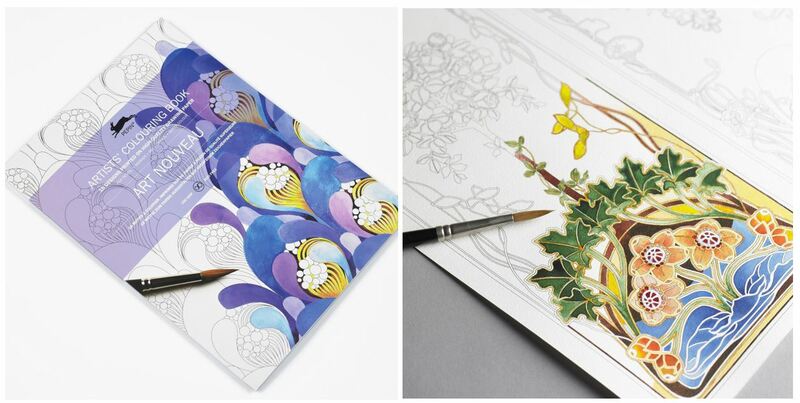 Examples include: Woodcut Printing for Beginners (1 day) to Painting from Life in Oils (2 days). You can find out more/book here. Ikon Gallery have a dedicated Learning Team who really bring their contemporary art exhibitions to life. While many of their activites focus on schools, families and young people, they do also offer practical workshops for adults. These afternoon gallery-based sessions provide an informal and fun way to explore the current exhibitions. Short Courses and Masterclasses provide practical hands-on sessions with expert tuition from professional artists. Events vary with each exhibition. For example, on Sunday 11 February you can book onto a 2 hour Collage Workshop with illustrator Eloise Renouf. You can find out what’s coming up here. Art therapy is becoming an increasingly popular career option for artists. BCAT offer a range of opportunities for students to gain experience, through volunteering. They also offer an 11-week part-time evening course, entitled ‘Art Experiential’, in which you can learn more about art therapies. Run by Julie Buxton, who has been an Art Therapist for 24 years, this series of workshops will offer opportunities for students interested in Art Therapy, newly qualified Practitioners and other professionals to participate in experiential sessions, and to deepen awareness of self and art therapy processes. Sign up here. ‘Master Your Inner Artist’ is a 6 week course, during which you will develop your drawing skills from still lifes and live models. Again this takes place at the Lost & Found, so you can enjoy a glass of wine while you create art! Both series are run by practising artists. Find out more here. Best for: new artists and anyone seeking a creative outlet in a relaxed environment. I love the idea of drawing whilst drinking wine. I am wondering if you require a male life model for any of your classes or workshops. I am 50 years old and a not RAM affiliated or set employed. I fully understand you may stick with one model for your sessions etc but am looking to expand my exposure from local groups etc. Hi Paul, please send me an email with more info on your experience & I will get back to you! Thanks, Ruth.